This week’s Friday Film is a somewhat obscure movie I picked up at my local library. The title of the film is It’s A Pleasure!, but the title has so little to do with the story, I think I like my title much better (see above). I can’t say I liked this film but I found it interesting for several reasons and I had to think for a while about how I could explain what it brought to the screen and why my little audience (consisting of myself and Second Daughter) was a) bored and b) fascinated, both at the same time. Wow! Scratch the surface on Norwegian figure-skater-turned-actress Sonja Henie and come up with a young phenom, a batch of controversy, and a relentless ambition. Sonja competed in the very first Winter Olympics in 1924 at the age of 11, then won her first gold medal in 1928. She went on to win gold in 1932 and 1936, parlaying her skating success (and her father’s fur trade money and influence) into a Hollywood film career that showcased her ground-breaking skating talent while ignoring her lack of acting experience. She was, above all, a performer, and the Hollywood of the ’30s and early ’40s was perfectly fine with that as long as it made them money. A complex figure, profiles of Sonja (Wikipedia and 1994 Lillehammer profile on YouTube) mention her sweetness, skating innovation, and star-power along with her vulgarity, her ruthlessness, and to varying degrees, her connections with the Nazi party and Adolf Hitler himself. At the 1936 Winter Olympics, Sonja drew criticism from detractors for greeting Der Fuhrer with the Fascist salute and shaking Hitler’s hand. 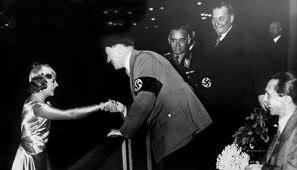 Of course, Sonja was one of the most popular sports stars of the day, and it was inevitable that she would meet and greet Adolf personally at the Olympic venue in Germany. However, rumors (now largely debunked) circulated about an alleged affair with Hitler, sparked by her acceptance of an invitation to his Birchtesgarten hideaway in Garmisch-Partenkirchen, home of the 1936 Winter Games. Nazi ties notwithstanding, Sonja and her skating led the arena of ice show entertainment, on screen and off, well into the 1950s. It’s A Pleasure! (MGM, 1945) serves up Sonja Henie in all of her skating star glory, but the convoluted plot drags her out of the spotlight as she struggles to convey her on-screen love for an unworthy, unlikeable hero. In the film she plays the role of unassuming show skater Chris Linden, who falls in love with rough-and-tumble hockey star Don, played by Michael O’Shea. Don’s drinking and fighting get in the way of his hockey playing, and when he punches a referee in a game, he is banned from his sport. Sonja/Chris takes up for him and offers him a stunt skating job in a new ice show. 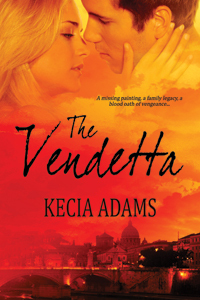 They fall in love and get married, but as Chris Linden’s star rises, her husband’s wanes. Finally his drinking and his involvement with calculating femme fatale Gale Fletcher, played by Marie McDonald, run him aground and he leaves Chris to her skating stardom. But a happily ever after ensues when, urged by friends, Chris reunites with a reformed Don, who has taken to coaching hockey for underprivileged boys. Hollywood got behind the war effort in 1941 with movies that celebrated America and urged its citizens, particularly women and minorities, to get out and work. The most famous of these images was Rosie the Riveter. But by 1945 it was time to return to “traditional values” and free up jobs for men returning from war. Hollywood turned its efforts to a post-war blitz directed at women working in traditionally male careers. It’s A Pleasure has all those messages and more. The movie could be titled Why Your Career Needs To Take A Back Seat to Your Drunk Philandering Husband. There is actually a scene where Don fake-hits Chris Linden, and they joke about how it’s all okay to a bystander who objects. Crazy. This, I think, is where Second Daughter dropped sync on the plot and asked me to fast forward to the skating scenes. The scratch spin is an upright spin where the free leg is crossed over the skating knee and then pushed down towards the ice. As the arms are pulled in towards the chest, a blur effect can be achieved if the spin is done fast. It is the most popular spin among figure skaters. Used to the polished jumps and spins of Sonja Henie’s successors, we could point out the flaws in Sonja’s quirky toe pick runs and easy waltz jumps. I had to keep reminding Second that Sonja Henie was the first female skater to perform some of these skills in competition. 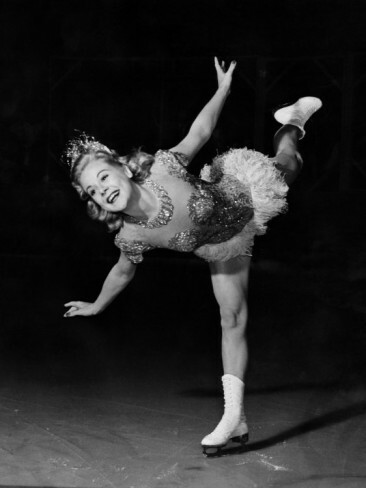 Sonja Henie’s scratch spin, though, is peerless. We even used the super slow mo on the DVD player to see how she entered the spin. Cool. Here’s a YouTube clip from the movie, so you can get an idea of her amazing level of mastery. Any Sonja Henie fans? Budding figure skaters? What do you think of films that push a message or agenda?